Animated falling colorful 3d music notes in 4k. Transparent background - Alpha channel embedded with 4k PNG file. hd00:14Animated falling colorful music notes on transparent background. Each music note is a 3d model with light reflection on surface. (Alpha channel embedded in HD PNG file). 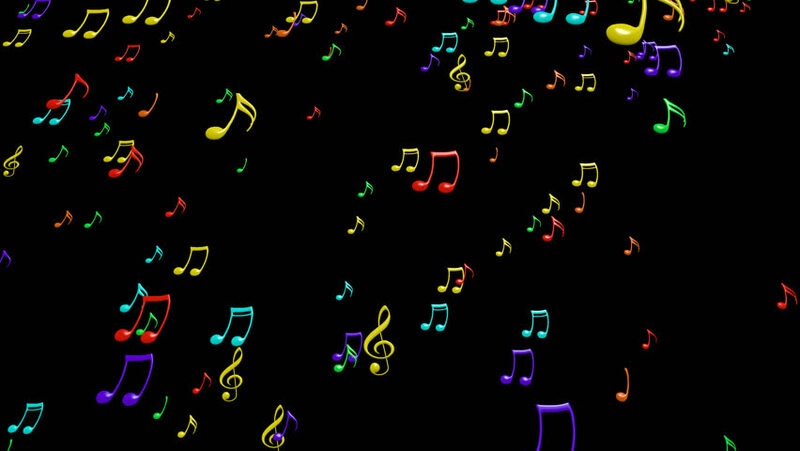 hd00:13Animated falling colorful music notes on black background. Each music note is a 3d model with light reflection on surface. hd00:13Animated flying colorful music notes on black background (upward). Each music note is a 3d model with light reflection on surface. hd00:14Animated flying colorful music notes on transparent background (upward). Each music note is a 3d model with light reflection on surface. (Alpha channel embedded in HD PNG file).